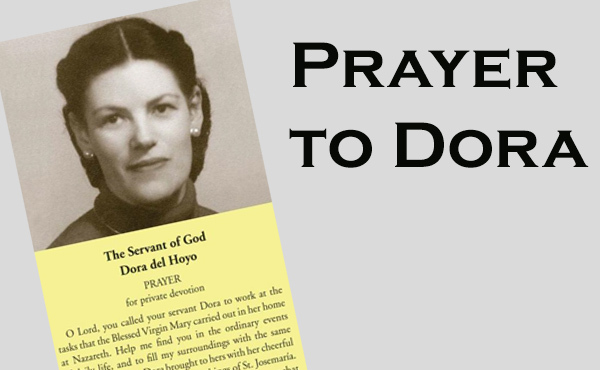 Many people all over the world seek Dora's intercession to help them in their daily life. Here you will find her prayer card for private devotion. You can learn more about favors received through Dora's intercession in the "Favors" section. O Lord, you called your servant Dora to work at the tasks that the Blessed Virgin Mary carried out in her home at Nazareth. Help me find you in the ordinary events of daily life, and to fill my surroundings with the same family warmth that Dora brought to hers with her cheerful and selfless work, following the teachings of St Josemaria. Glorify your servant Dora, and grant me the favour that I ask (here make your petition). Amen. 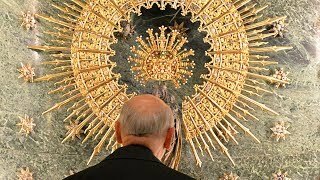 Our Father… Hail Mary… Glory. Those who obtain favours through the intercession of Dora del Hoyo are asked to notify the Opus Dei Prelature, viale Bruno Buozzi 75, 00197 Rome.